The ENOG 2/RIPE NCC Regional Meeting Moscow/MSK-IX Peering Forum took place from 28-30 November 2011 at the World Trade Centre Moscow. More than 400 attendees took part in the first day of the conference. The day began with workshops: Peering Commercials/Contracts, led by Mike Blanche from Google; IXP Interaction Tutorial, led by Alexander IIin and Mikhail Grishin from MSK-IX; and RIPE Database Tricks and Tips, led by Alex le Heux and Marco Hogewoning from the RIPE NCC. The MSK-IX Peering Forum took place on Monday afternoon. The theatre quickly filled up for a panel session with industry representatives from the region’s content providers, telcos and industry analysts. The session covered a range of issues relevant to the peering community, including latency, trunk capacity, emerging content and the relationship between content providers and telcos. Tuesday began with the ENOG 2/RIPE NCC Regional Meeting Moscow opening plenary. 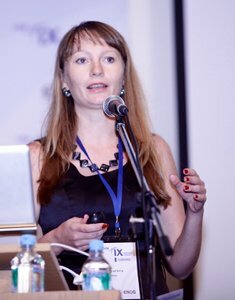 Elena Voronina from MSK-IX welcomed attendees and gave a brief update on MSK-IX. She was followed by a welcome address by Igor Milashevsky from the Russian Department of State Policy in IT and Information Coordination. Mr. Milashevsky spoke to the attendees as a regulator but also shared his personal views on Internet growth and its issues in Russia. He touched on the pros and cons of the multistakeholder approach and expressed his wish to participate in the discussions going forward. He said that interconnection between regions in this area depends on collaborating and supporting each other. There were many questions for Mr. Milashevsky, including whether the government would provide training for professionals, invest in innovative technologies like IPv6 and support competitive salaries for industry professionals. The morning continued with a presentation from Paul Vixie from ISC on the “History of Neutral Commercial Peering Exchange: The Lessons of PAIX”. The audience was curious about Paul’s views on regulation, the different models of Internet Exchanges and what his thoughts were on whois privacy. Marco Hogewoning presented as an Internet citizen on “Deploying IPv6 from the Bottom-Up”, citing his many years of experience working for the Dutch telco XS4All. Denis V. Tatarskikh then presented “Deployment of IPv6 in the Broadband Network – IPv6 Deployment Experience of ER-Telecom”. The morning session concluded with lightning talks. Sergi Polichuk from UA-IX focused on statistics with his presentation “IPv6 (from One Day to Years)”. Maksym Blagonravin from Hostmaster Ltd informed attendees about the upcoming IPv6 workshops in Kiev from 7-10 February 2012 in conjunction with RIPE NCC training courses. The session finished with Alexander Isavnin from Media Alliance who discussed IPv6 measurements in the .RU and .RF domains. The plenary continued in the afternoon with presentations from Sofya Grunyushkina (National Research Nuclear University MEPhI) on “Internet Tools of Control”, Tatiana Popova (InAU) on “Internet Governance and Regulatory Practices”, and Alexandr Asimov on “Detecting Autonomous Systems Relationships”. 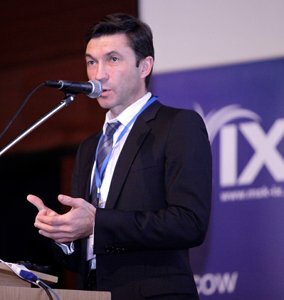 Serge Radovcic, RIPE NCC’s Chief Communications Officer, chaired the last session of the day: Peering and IXPs. Sergi Polischuk from UA-IX compared the pros and cons of sending traffic through MSK-IX, UA-IX and DE-CIX. Many attendees got to the microphones with questions and comments for Sergi. The next presentation was from Arnold Nipper from DE-CIX “Interconnecting IXPs: Pros and Cons”, which offered insights into the definition of an IXP, interconnection and reseller programmes. Next on the agenda was the IXP/Peering Panel, chaired by Paul Vixie from ISC. 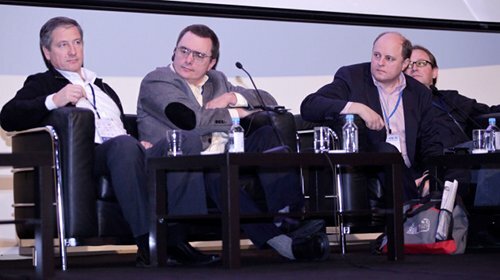 Panellists included: Mike Blanche (Google), Yuri Gugel (RUNNet), Christian Kaufmann (Akamai), Arnold Nipper (DE-CIX), Sergi Polichuk (UA-IX) and Konstantin Tchoumatchenko (MSK-IX). Paul posed a number of questions to the panel, touching on switch vs. cross-connect policies, peering with those not present, load balancing between multiple switch ports, traffic engineering and whether ethernet was still the right technology. The day was concluded with an animated and sometimes heated discussion at the ENUM BoF. Day three began with a DNS Session. Dmitry Kohmanyuk from Hostmaster Ltd shared his plan for DNSSEC implementation in Ukraine. Petr Andreev from MSK-IX suggested they play with the test-bed environment developed for DNSSEC deployment in Russia. Paul Vixie (ISC) offered attendees a unique look into the economic and operational value of telemetry data with his presentation “Economics of Security Information Exchange: How Exclusive Telemetry Deals Help The Bad Guys”. He said that the “bad guys” need three things to operate: opacity, anonymity and freedom. By working together to share telemetry data, network operators can help limit the proliferation of this kind of cyber crime. Paul encouraged attendees to get in touch with security companies to enquire about sharing their data. role of parental control, and what they perceived to be a huge inefficiency in content filtering (using an example of how business partners in China find ways around the filters to access sites like Facebook and Twitter through VPN). The rest of Wednesday was dedicated to RIPE Day. Serge Radovcic introduced RIPE Chair, Rob Blokzijl, to give an overview of the history of RIPE, its meetings, and most importantly, its mailing lists. Marco Hogewoning, IPv6 Working Group co-Chair, and Paul Rendek, RIPE NCC’s Director of External Relations, updated attendees on current RIPE policy proposals: 2011-02: “Removal of multihomed requirement for IPv6 Provider Independent (PI) space”; 2011-04: “Extension of the minimum size for IPv6 initial allocation”; and 2011-05: “Safeguarding future IXPs with IPv4 space”. There was a question about the RIPE Policy Development Process (PDP) and what happened at the last RIPE NCC General Meeting with the certification/Resource Public Key Infrastructure (RPKI) resolutions. Paul Rendek clarified that there was a big difference between RIPE policies, which are decided by RIPE community consensus, and decisions made at the RIPE NCC General Meeting, which are voted on by RIPE NCC members. Nigel Titley, RIPE NCC Executive Board Chairman, speaking as the author of the transfer policy, stated that the RIPE community accepted the transfer policy, and that the policy requires the existence of a certification/RPKI system. Paul encouraged attendees to bring any concerns to the mailing list. RIPE Day continued with a presentation from Viktor Naumov, Software Engineer for the RIPE NCC, on RIPE Atlas, the next generation Internet measurement network. Viktor discussed the history of RIPE Atlas, its benefits and user-defined measurements. 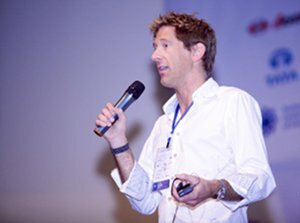 He encouraged attendees to participate by becoming an Atlas host or sponsor. Some attendees asked why Atlas wasn’t based on software rather than hardware and wondered if it wouldn’t be better to make it open-source. Paul Rendek then shared the results from the RIPE NCC Membership and Stakeholder Survey 2011. Alex Band, Product Manager for the RIPE NCC, gave an update on certification/RPKI. The RIPE NCC’s Chief Financial Officer, Jochem de Ruig, presented the RIPE NCC Financial Process, the Charging Scheme 2012, and the RIPE NCC Service Agreement. Jochem also explained that the Executive Board would be meeting soon to discuss adding the cost of each RIPE NCC activity to the RIPE NCC Activity Plan and he hoped to share some preliminary information soon. The meeting concluded with some final remarks from Serge Radovcic who thanked all the hosts, sponsors and, most importantly, the attendees for making the ENOG 2/RIPE NCC Regional Meeting Moscow/MSK-IX Peering Forum a success.